University of Texas at El Paso is seeking a pr firm for a Smoke Free Social Media Campaign. A Smoke Free Paso del Norte (ASFPDN) is an initiative funded by the Paso del Norte Health Foundation (Foundation). The University’s School of Pharmacy receives funding from the Foundation to perform work that assists the Foundation in the goal of eliminating tobacco use in the Paso del Norte region. The University intends to contract with a marketing firm(s) to provide services related to the ASFPDN. Over the past decade, ASFPDN has significantly contributed to reduced smoking prevalence in the region. A publication demonstrates that in El Paso rates of current smoking have decreased, rates of quitting smoking have increased, and rates of transitioning to smoking have decreased; similar changes have not occurred in two other comparison cities in Texas. These reductions are likely a product of the coordinated, comprehensive approach to tobacco control afforded by the Foundation. Maintaining and furthering these smoking reductions particularly targeting priority populations including pregnant women, military, those obtaining mental health services, and the LGBTQ community, mandates sustained, systematic tobacco control efforts under dedicated and strong leadership and oversight. The primary target audience for the ASFPDN initiative includes English and Spanish speakers (including child, youth and adolescent smokers and non-smokers; adult smokers and non-smokers; special populations, and community and civic leaders) in El Paso and neighboring communities in Cuidad Juarez, Chihuahua, Mexico, and Southern New Mexico. Contractor will provide the following services to University that will result in comprehensive, strategic, and cost-efficient media campaigns that will include market research; planning; creative development; social media management and placement of ads in social media networks for a youth tobacco prevention and adult tobacco cessation campaigns using specific social media platforms. The campaign is a coordinated series of steps that will include promotion of a behavior change, targeting specific populations, through social media platforms, and utilizing online advertisements. 1.1 Market research, planning, development, and placement of media targeting tweens (10-12 year olds) and youth (13-18 year olds), promoting prevention messages on novel tobacco products (e.g., e-cigarettes, hookah) and traditional / commercial cigarettes. 1.3 Update, maintain, and promote interactive youth tobacco prevention website www.liveoutsidethepack.com. 2.1 Market research, planning, development, and placement of media targeting adults (18 year olds and above) inclusive of priority populations (LGBTQ, pregnant women, military, and persons with mental illness) promoting tobacco cessation. 2.2 Recommend, based on market analysis and subject matter expertise, effective interactive digital media venues (online, social media, and mobile) to disseminate adult tobacco cessation messages. 2.3 Provide monthly advertising budget recommendation for campaigns. 2.4 Update, maintain, and promote interactive adult tobacco cessation website www.setyourdate.org. 2.5 Develop and maintain blog (update weekly, drive people to read and share it, and engage partners). 2.6 Provide social media management services. Develop and maintain social media calendar to include identifying specific events targeting general and special populations. Create and schedule pre-approved posts for social media platforms. Facebook 2-4 times a week; Twitter 5 times a day. Monthly report on activity will be requested by University. 2.7 Design, create, and execute video production targeting special populations to be utilized on social media platforms. 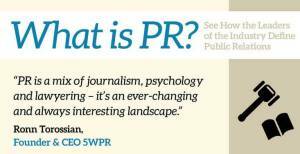 Texas based PR firms include Taylor PR and Edelman PR.